This little piggy was manufactured by Montgomery Schoolhouse of Montgomery, Vermont. The company began making "good old-fashioned craft-quality" wooden toys in 1971. This wooden toy is 8.25 inches from tail to snout and stands at 6.5 inches tall. 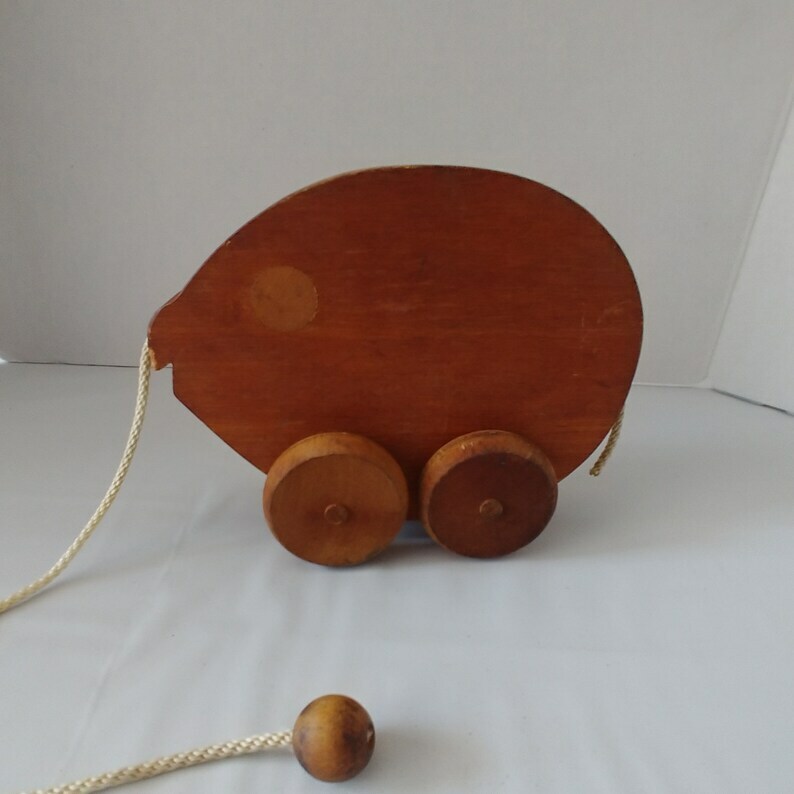 The wooden pig is 1.5 inches thick and moves on four 2.25 inch tall wheels that are 7/8 inch thick. The wheels are attached with wooden pegs. The pigs tail and pull are made of off-white rope. At the end of the 16-inch pull rope, there is a round wooden bead. The pig's eyes are indicated with an inserted round slug. CONDITION: This pig is in great condition. The wheels roll smoothly and the rope is securely attached. Age is indicated with minor marks and scratches.